The Federal Emergency Management Agency (FEMA) of the Department of Homeland Security (DHS) is tasked with oversight of hazard planning (fire, earthquake, drought, severe storm, flooding, and others) and response to regional and national emergency situations. Because the U.S. Federal government is a substantial source of emergency funds for both planning and responding to emergency situations, FEMA requires member communities to prepare, adopt, and present hazard mitigation plans. The hazard mitigation planning process is designed to identify potential hazards, assess the risk of such hazards, develop response plans to identified hazards, and develop plans for long-term mitigation of identified hazards. 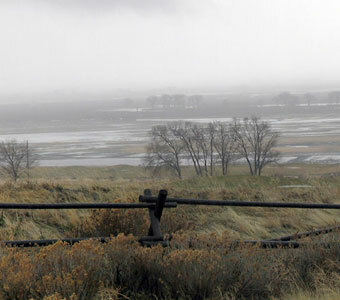 Communities that have mitigation plans are better able to identify and articulate their needs to state and federal officials when funding becomes available, particularly following a disaster. Communities with mitigation plans in place can begin the recovery process more quickly when a disaster occurs. Furthermore, by having established priorities ahead of time, states and communities are better able to identify technical and financial resources outside traditional venues. R.O. Anderson planners facilitate comprehensive hazard mitigation planning projects which not only protect the quality of life in our communities, but also to protect public health and safety. Within the Federal Emergency Management Agency’s (FEMA) Risk Mapping, Assessment, and Planning (Risk MAP) Program, the Discovery process is intended to initiate watershed-wide discussions about increasing resilience to flooding. The goal of Discovery is to determine which areas within a watershed require mapping, risk assessment, or mitigation planning assistance. R.O. 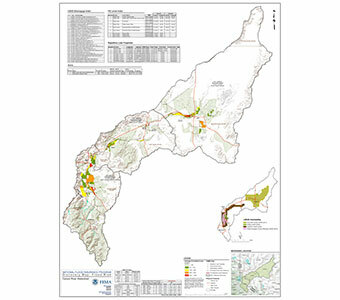 Anderson coordinated with stakeholders from the six counties within the Carson River watershed as well as additional stakeholders including the Nevada Division of Emergency Management, Nevada Division of Water Resources, National Oceanic and Atmospheric Administration (NOAA), Truckee Carson Irrigation District, U.S. Army Corps of Engineers, U.S. Bureau of Reclamation, and U.S. Geological Survey, and FEMA to collect data and information regarding flood issues, flood risk, and flood mitigation capabilities within the Carson River watershed. R.O. Anderson and the Carson Water Subconservancy District initiated two Discovery Meetings to engage the stakeholders in the review and validation of available flood data, as well as to discuss flood history, catalog areas at risk for flood loss, examine development plans, review the adequacy of existing hazard data, assess mapping needs, and discuss community activities that relate to flood risk and solutions for reducing flood risk. R.O. Anderson inventoried and analyzed the data including hazard mitigation plans, National Flood Insurance Program mapping needs, socio-economic data, flood control structures, community assistance visits, regulatory mapping, ongoing and completed watershed projects, and future project needs. 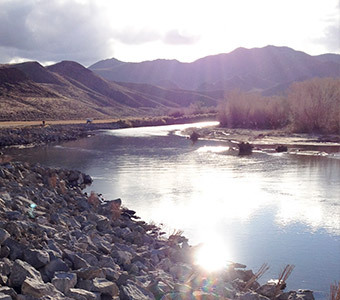 The information gathered as part of the Discovery process was summarized into the Carson River Watershed Discovery Report. This task included the preparation of base GIS mapping to visually display the information received onto Discovery Maps. The Discovery Report also included a prioritized list of needed mapping, risk assessment, and mitigation projects. The flood risk information contained in the Discovery Report will be used to enhance hazard mitigation plans, make informed decisions to improve resilience after flooding, protect beneficial functions of floodplains, and raise awareness about local flood risks. Additionally, as funding becomes available through FEMA, the prioritized projects will be used as resource for selection of future projects.